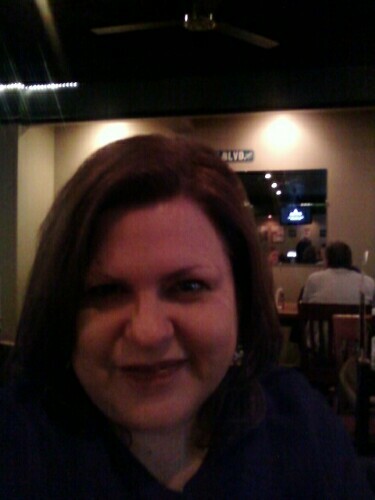 After work Friday night, my husband took me out for a night on the town. 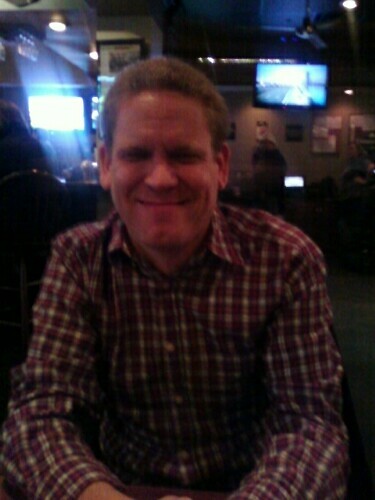 He took me to the The Bunganut Pig Pub & Eatery. It was a great place and I can’t believe I’ve never been there before. 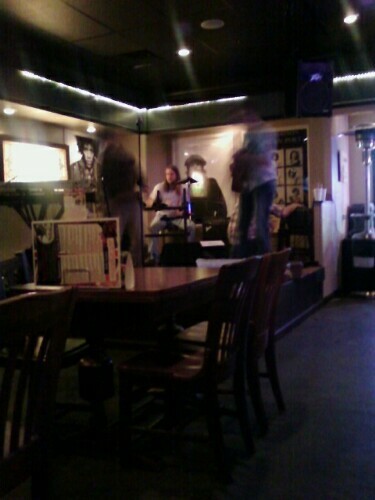 I especially love places with live music and we were in luck. I took some pictures but apologize for the quality. It was too dark. On Saturday, I got up early even though I was feeling a little nauseous from the several glasses of wine I had the night before. I had an appointment for a haircut and my stylist is in Franklin, about a 40 minute drive away. I left home and decided to stop for coffee. 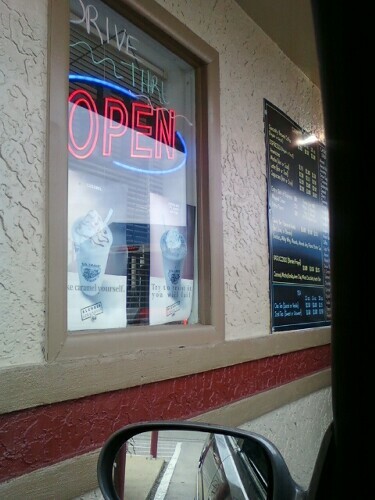 I went to the only authentic coffee shop I know in our town, Fast Break Espresso. I used to live in WA state where you could find a coffee shop stand on every corner. I’ve noticed several have opened here and closed very soon after. But this place seems to be working and I hope it stays open. The taste of espresso drinks reminds me of WA. I had an iced mocha coffee drink with an extra shot and a breakfast sandwich. 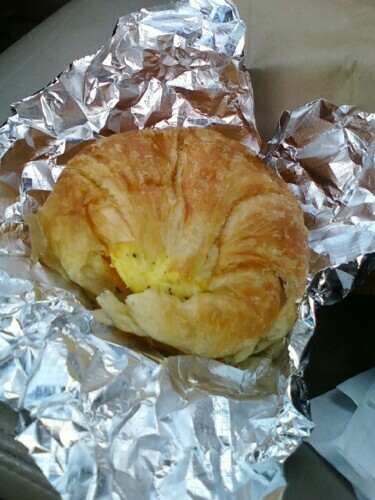 The sandwich was made with ham, cheese and egg on a crossiant. It was very yummy. 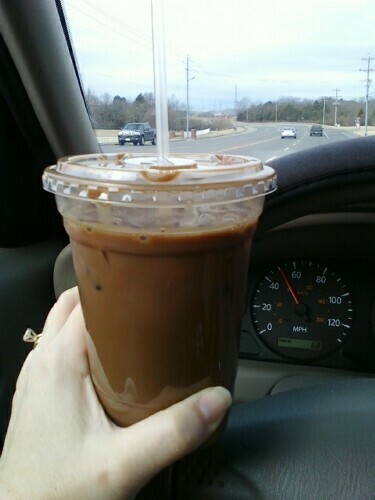 And the mocha was just the pick-me-up I needed, except a little chocolately for me. Since I’m used to sugar free things, I guess it was too much. Next time I’ll ask for less chocolate syrup. 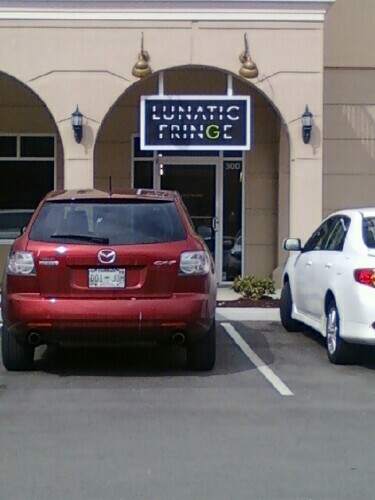 After getting my java and breakfast, I headed down the highway to the salon, Lunatic Fringe. I only got a haircut, not the works like I usually do. I think it turned out nice. My stylist always does a great job. That’s one of the reasons I don’t mind driving so far to her salon. 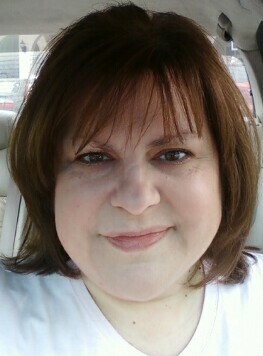 after the haircut – now I have bangs. I plan on relaxing for the rest of the weekend and enjoying my day off on Monday. Are you having a fun weekend?